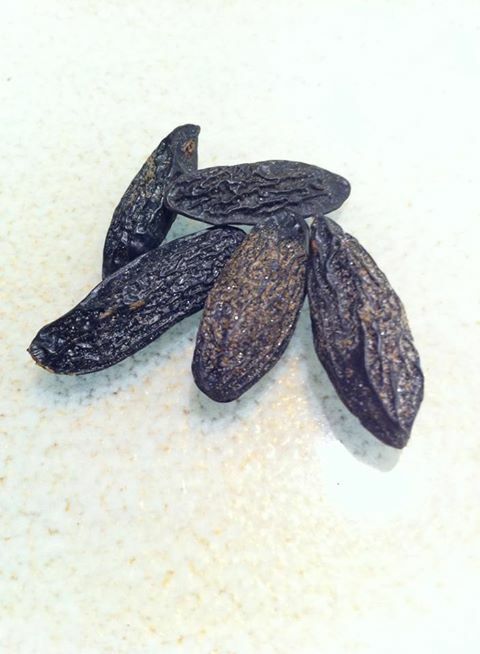 Some of you, my dear readers,wonder how Tonka beans looks like. So here I show you some of them I have at home. Just before I tore them down in the icing for the cake tomorrow.